Leslie Bennett and Stefani Bittner are owners of the Berkeley-based Star Apple Edible + Fine Gardening, a landscape design, installation, full-service maintenance, and harvesting company. They specialize in combining elements of the traditional ornamental landscape with an edible and eco-friendly kitchen garden to develop a strong structure and vibrant aesthetic. They are also co-authors of the new book The Beautiful Edible Garden: Design a Stylish Outdoor Space Using Vegetables, Fruits, and Herbs (Ten Speed Press, 2013). 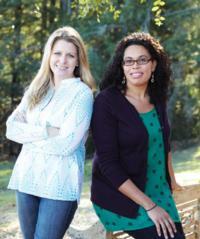 To learn more about Leslie and Stefani, visit starappleediblegardens.com. 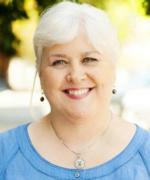 Claire Splan writes a popular blog, An Alameda Garden, about gardening and environmental issues. A member of the Garden Writers Association, Claire has written for several garden-related websites, done presentations at the UC Botanical Garden, the Southern California Spring Garden Show, and other venues; and has been interviewed on radio shows such as “GardenLife,” “Bob Tanem in the Garden,” and “Gardening Today.” Claire has degrees from USC and USF, and has studied Landscape Horticulture at Merritt College. Her recent book, California Fruit & Vegetable Gardening: Plant, Grow, and Eat the Best Edibles for California Gardens (Cool Springs Press, 2012) embraces both the joys and complexities of gardening in California with its astounding array of plant options and multitude of horticultural zones. For more information, view this interview between Marin Master Gardener, Jen Long, and Claire Splan. To learn more about Claire, visit alamedagarden.blogspot.com. renewed interest in the past few years. 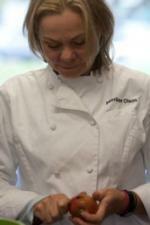 She farmers in transforming their excess produce into jams and jellies, salsas and sauces. For more information, view this interview between Marin Master Gardener, Jen Long, and Merrilee Olson. To learn more about Merrilee, visit preservesonoma.com.